Act! Consulting at Training Solutions, Inc.
There’s more to contact management than meets the eye. Our experience consulting as an Act! Certified Consultant and Act! Premier Trainer means you’ll get the results you need as we work with you to plan, implement, and monitor your business processes. 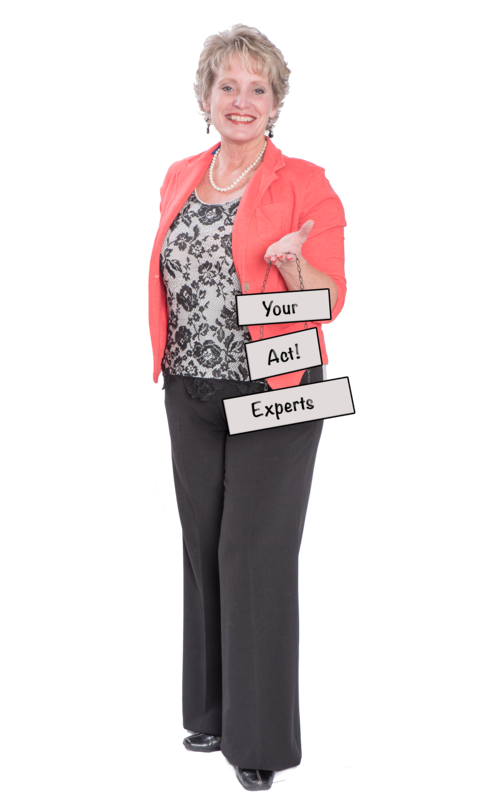 You can count on us to help find solutions – whether you need to purchase an Act! product, convert an old database, or use Act! more efficiently and productively. Integrate Act! with hundreds of popular business apps like Google Contacts, Eventbrite, SurveyMonkey, and Wufoo using Act! Connect. Contact us today for consulting and to discuss your CRM project!